In general, we always recommend to our customers that the ideal time for tree trimming is during winter, or late fall. While we cannot say for certain which months are the best for trimming, they will most likely fall within these seasons. Since trees are dormant during the autumn or winter seasons, these are the seasons you would want to trim them in. This will cause less stress to the trees, since they won't be as active. While this does sound like these are the optimum months for trimming, always check with a professional for your specific type of tree. We will always come out and inspect the condition of your property to ensure that your trees are ready to be trimmed, and we won't trim it if it could cause too much harm to the tree's health. We want to make sure that whenever we trim trees for our customers, we won't leave the tree there too hurt to recover. Trimming during the colder seasons gives the tree less stress and helps it to recover stronger than it would had the trimmings been done in the warmer seasons. But, it isn't just seasons to watch out for. If your tree is sick or has a disease, it may not be able to be trimmed. It’s important to realize that more problems will arise if you attempt to trim an unhealthy tree and you aren't only getting rid of the infected parts. 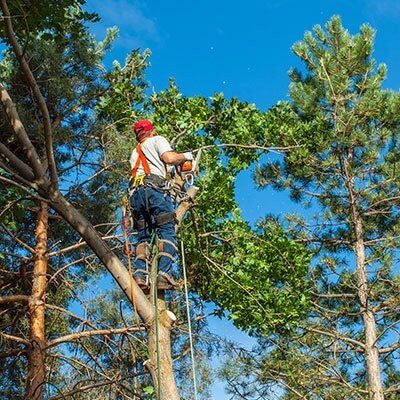 We highly recommend that whenever you need your trees trimmed, you should call a professional. Not only can they give you tips regarding when is the right time of year to have your trees professionally trimmed, but they can also make sure not to harm parts of the tree that may seem insignificant but could injure it. Sarasota Tree Care Services is committed to giving our customers the best in tree care service and satisfaction. Whenever you call us to trim your trees, we will always work carefully to make sure that the tree stays healthy and can recover effectively.